Never Pay Overweight Baggage Fees Again! 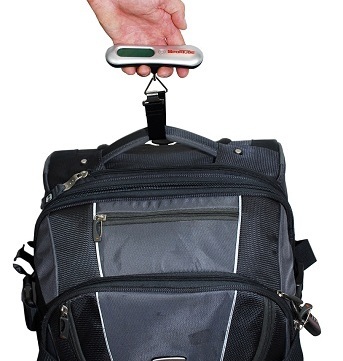 With our new Hand Held Digital Luggage Scale, you will always know how much your Sportube or luggage weighs before you go to the airport. Avoid those frustrating times at the check in counter, riffling through your bags, to take out 2-5 pounds so you don't get charged extra fees. With baggage fees going through the roof, this scale will pay for itself with one use. 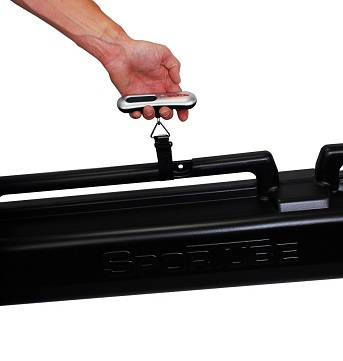 Just loop it through your Sportube or luggage handle, hold up until the weight shows and you're done. It's that easy to make sure you are under your airlines allowable weight limit before overweight fees kick in. For an example of what you might pay in overweight fees, check out this chart. The digital scale worked great, helped me keep within the weight limit for the airline.